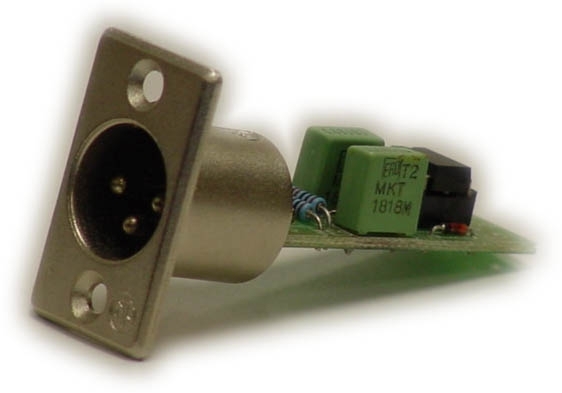 The L328 Single Balanced Input Board is a very high performance yet economical way to add balanced inputs to audio gear that has only unbalanced inputs. 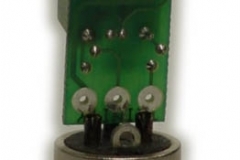 The board is relatively small at 1.75″ x 0.625″ and can be mounted anywhere using double sided foam tape, or it is also designed so it can be soldered directly to the back of any standard XLR type connector as shown in the picture below. This convenient card is ideal for mounting in equipment racks such as those used in broadcast, recording or editing facilities. 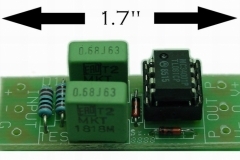 Note: this card is intended to be used with a bipolar supply (+/- 15 VDC nominal). We also manufacture a similar card (L314) which converts two balanced inputs, and operates from a +16 to +32VDC single ended power supply. Note: This card is designed to be mounted inside a chassis as is. 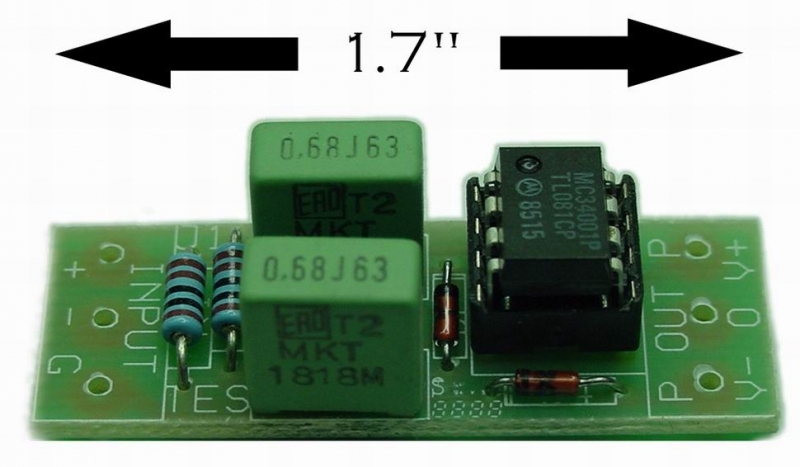 If it is required to drive any length of shielded cable, simply insert a 100 ohm resistor at the card’s output (because the op-amp is not capable of directly driving a capacitive load).